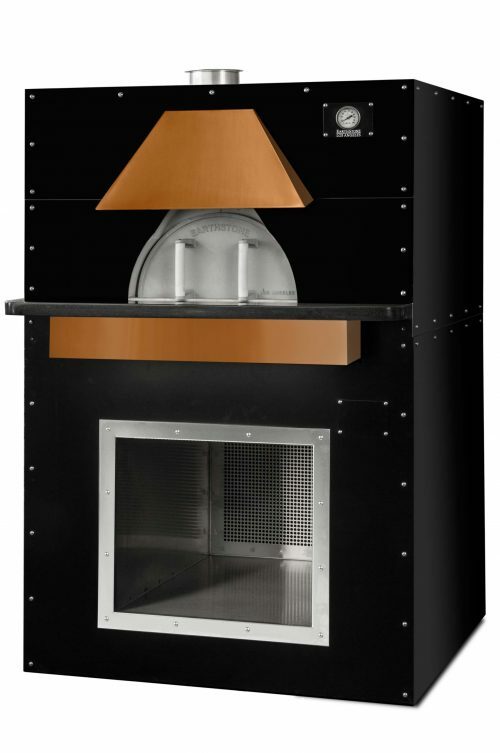 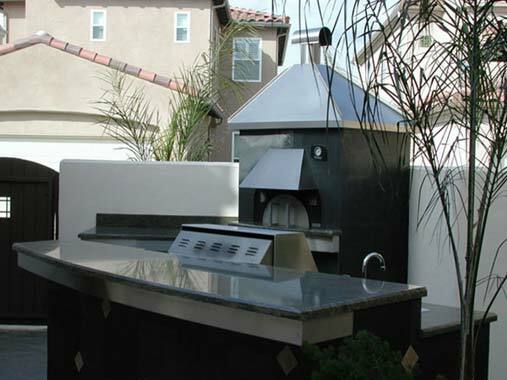 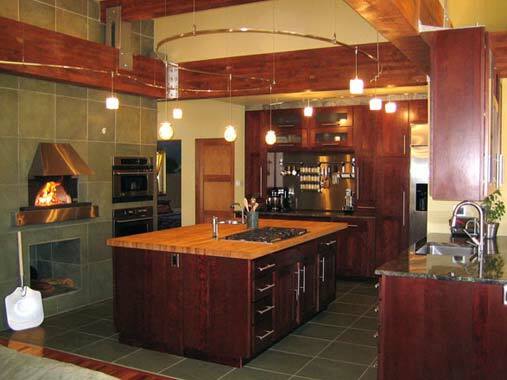 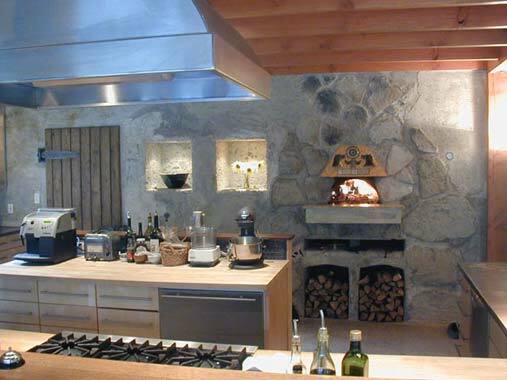 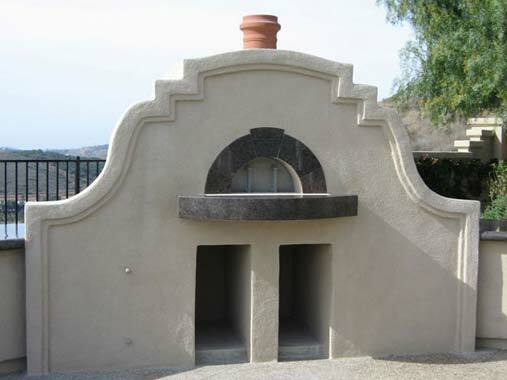 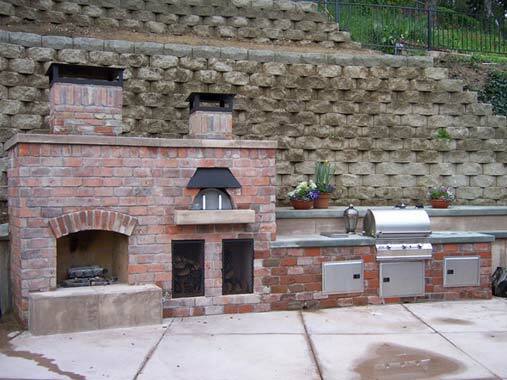 The Model 60-PA wood fired oven has a 23″ interior cooking diameter and a 15″ wide by 7″ high oven entrance. 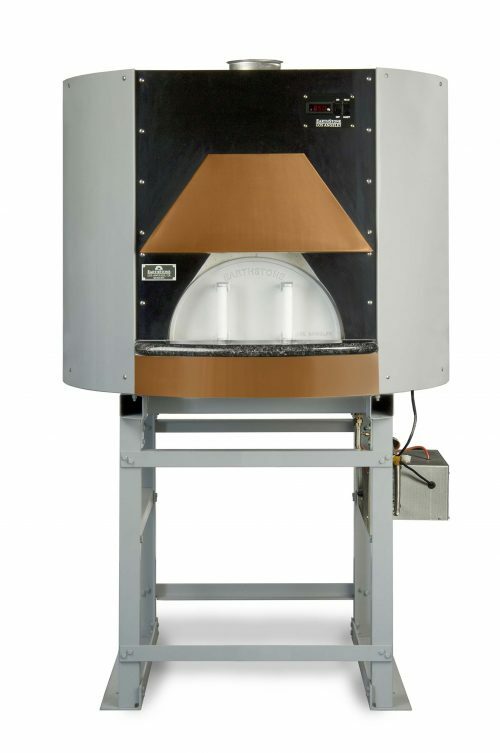 The body parts are a cast 3 inch thick dense, high temperature refractory material with an 80% alumina content and additional special additives which stop deterioration from acids emitted by wood combustion. 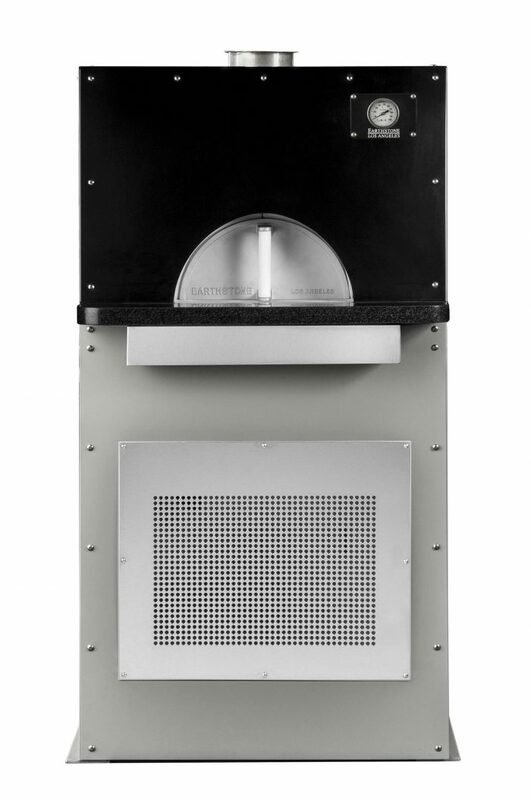 The Model 60-PA is U.L. 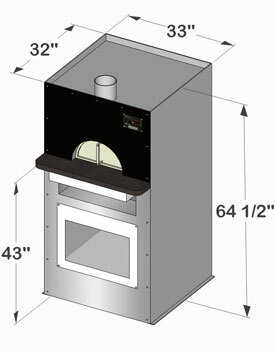 listed for installation with a 1-inch side clearance to combustible materials. 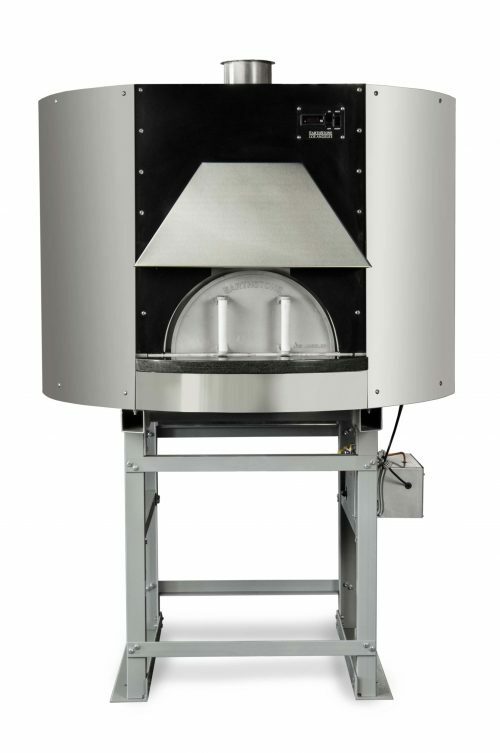 Total weight 1700 lb. 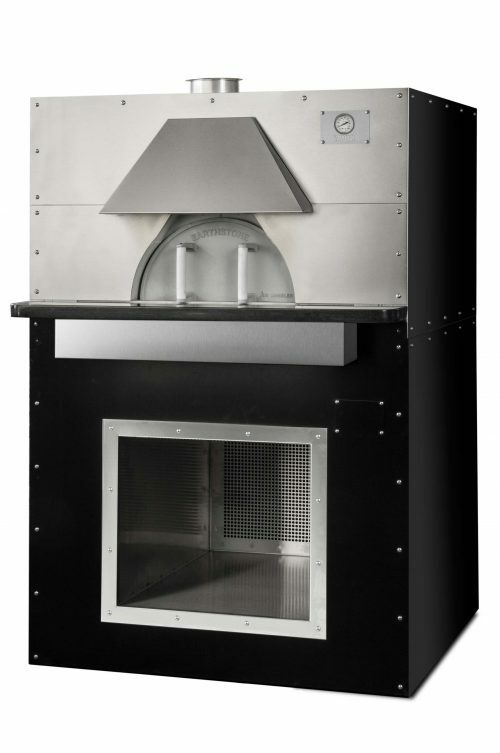 The steel support frame and enclosure are constructed of heavy gauge welded tube steel and angle iron members. 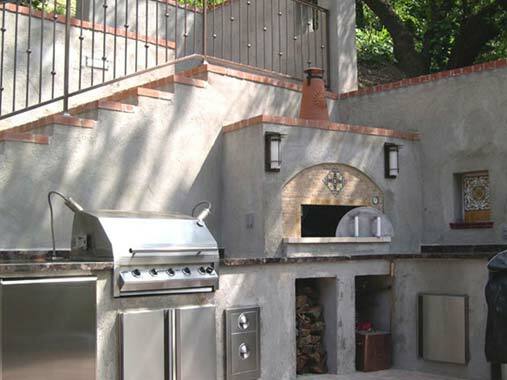 All precisely fabricated and attractively designed. 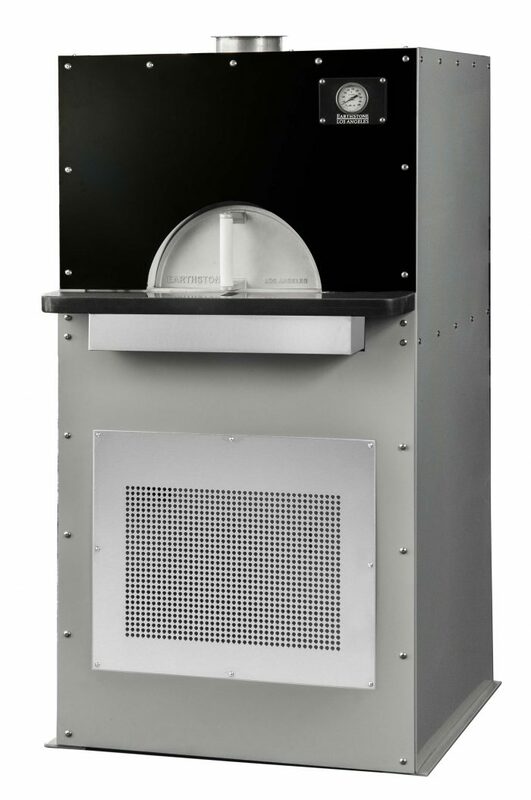 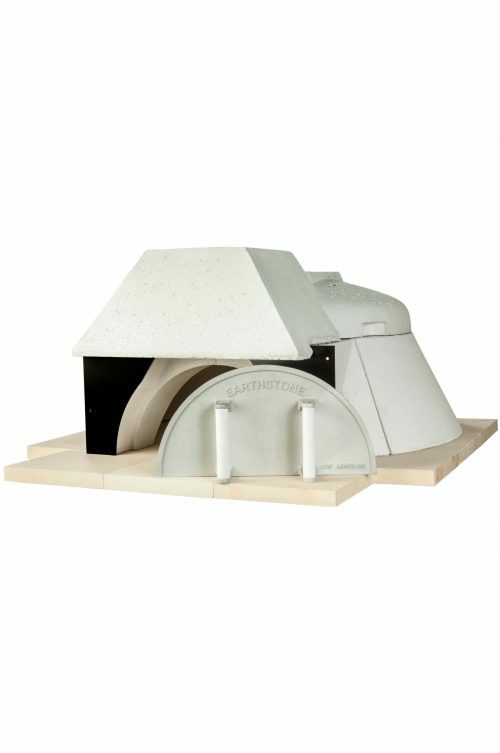 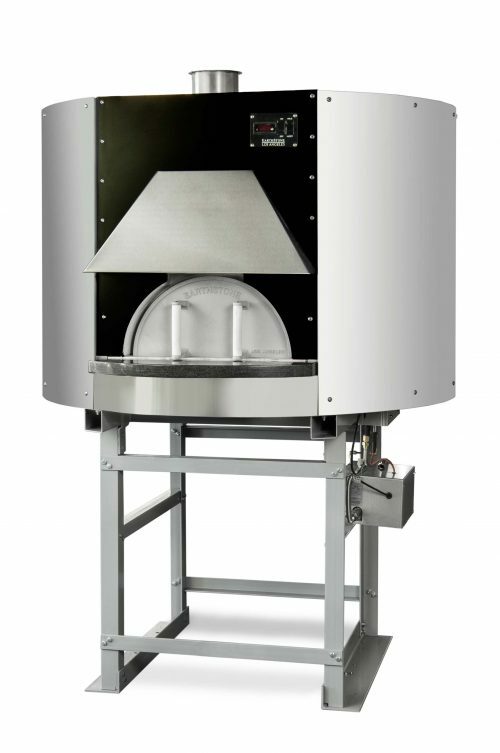 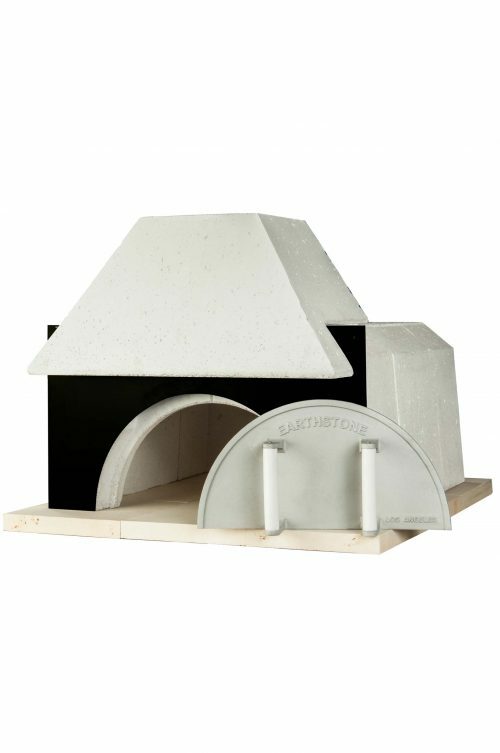 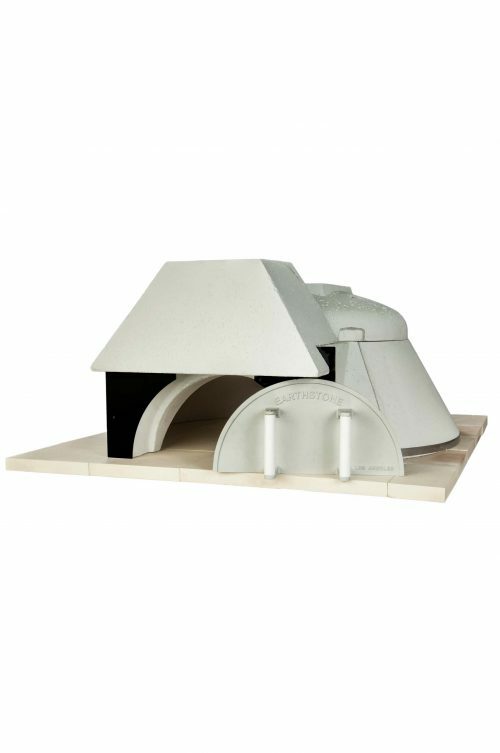 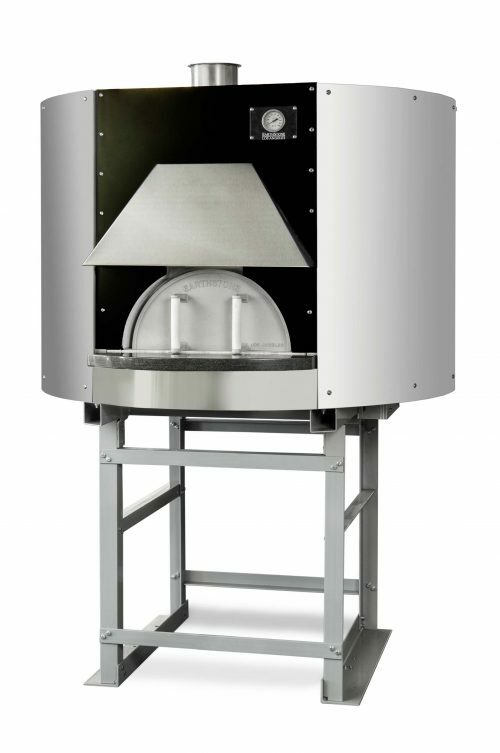 The void area between the cast oven body and steel circular enclosure is entirely filled with 4 to 10 inches of a hardened lightweight insulation mixture, which forms a secondary molded body. 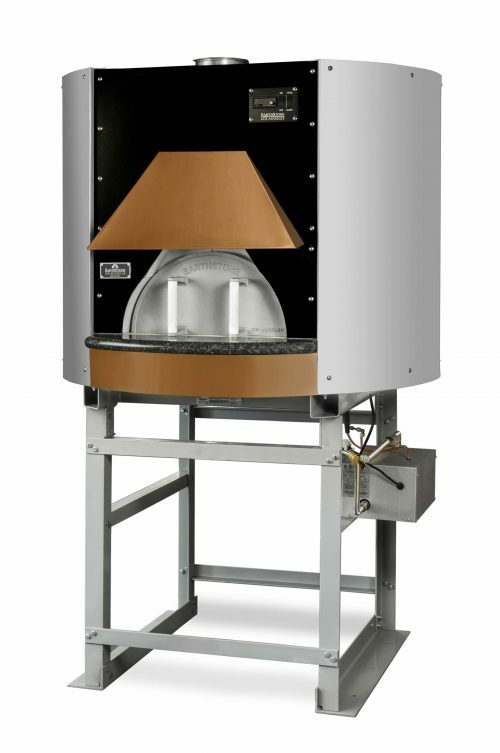 The combination of our thick cast refractory body and an outer insulation shell maximizes the thermal mass or heat storage capacity of the oven which allows for an extremely efficient oven that cooks at even non fluctuating temperatures. 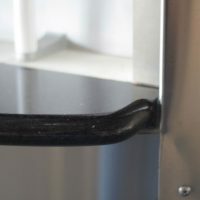 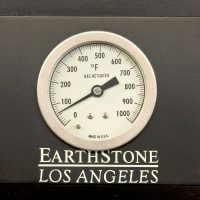 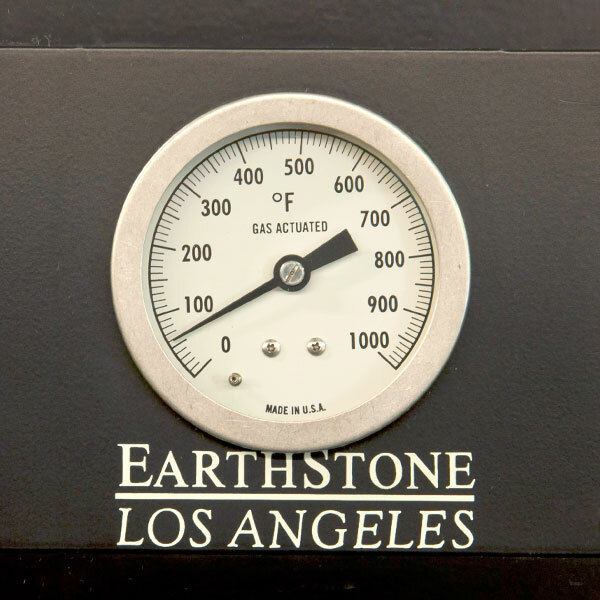 The temperature probe is placed 2 ½” into the dome or top of the oven in lieu of on the floor in order to avoid temperature readout fluctuations caused by food items placed on the floor. A stainless steel adapter sleeve is placed over the standard eyebrow hood, which comes with either a stainless steel or copper hood cover.